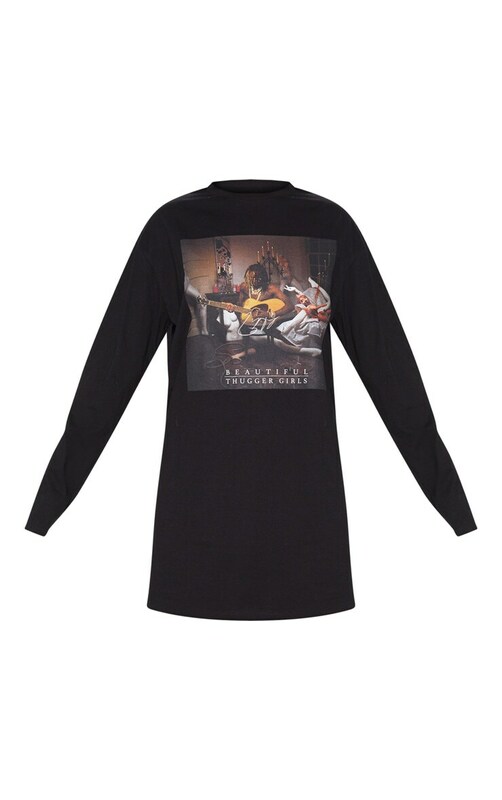 Nail that effortless off-duty look with this cosy t-shirt dress. 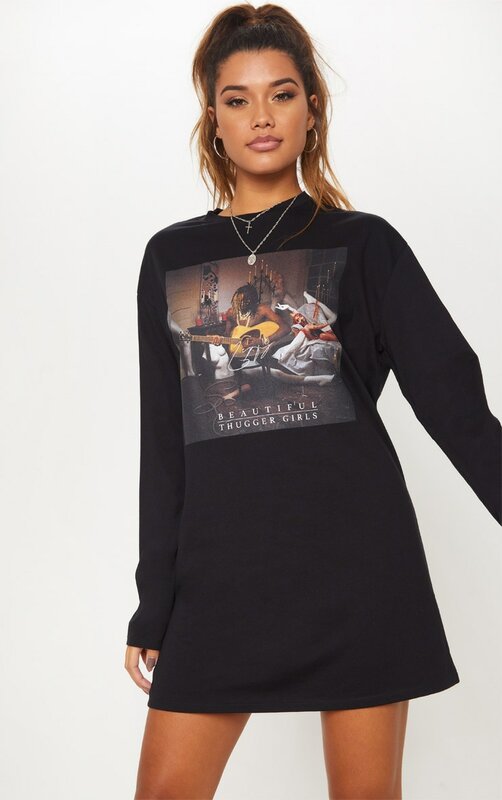 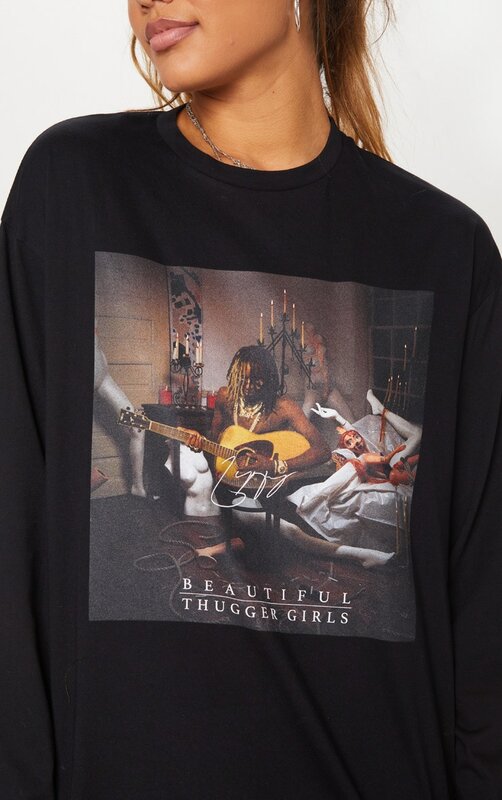 Featuring a 'Beautiful Thugger Girls' print on the front and long sleeves. 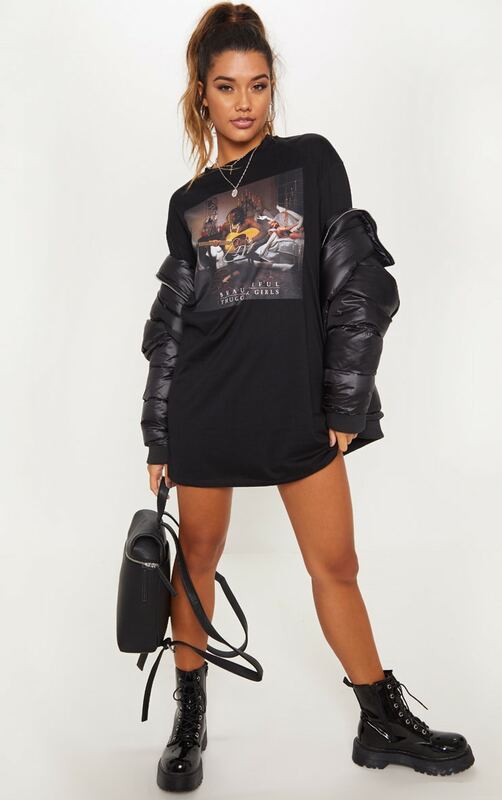 We love this styled with biker boots for a rock chick touch.